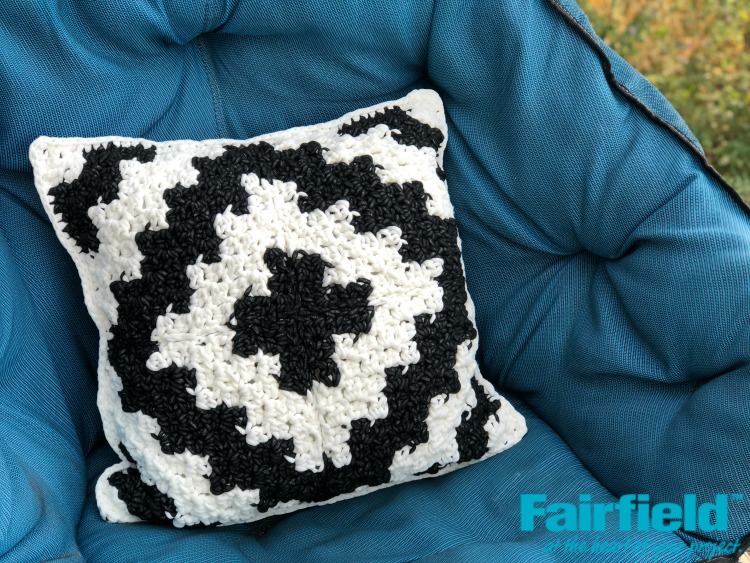 I recently designed a couple of new pillows for Fairfield World and wanted to share them here. The patterns can be found on the Fairfield World website. 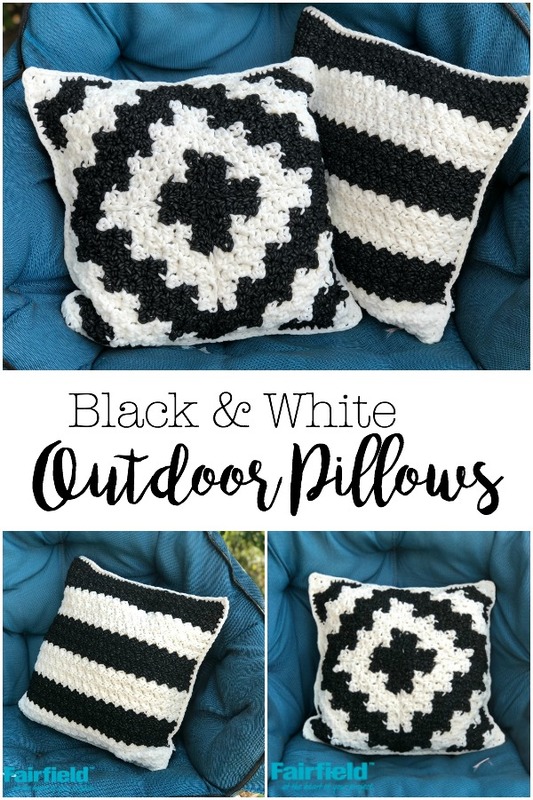 The pillows are made for outdoor use so they are perfect for summer. They use Weather Soft Pillow Inserts, and Bernat Maker Outdoor Yarn that is available at Joann. I wanted to make bold, graphic black and white designs. One of the designs is a corner to corner (C2C) design that I made in 4 sections and sewed together. 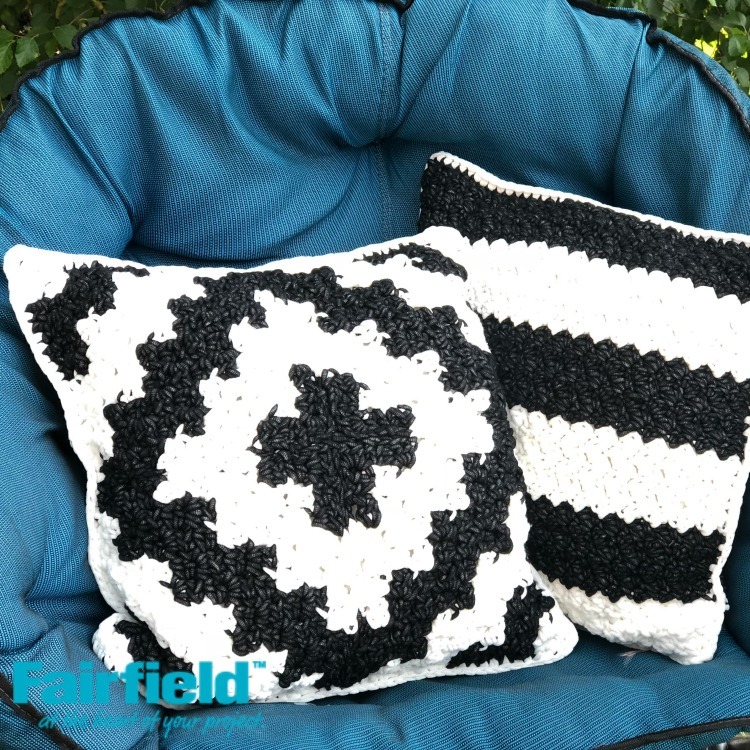 They create a geometric pattern that will look great on your patio. 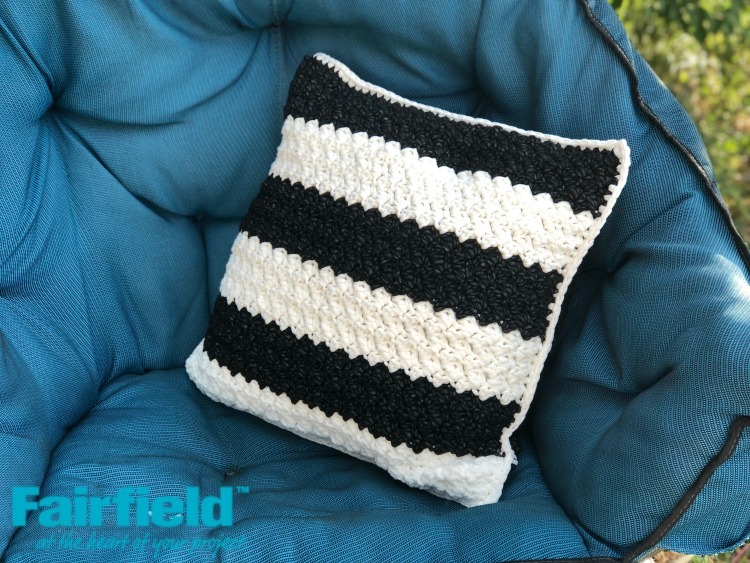 The second design is thick black and white stripes in a textured stitch. Are these pillows specifically for outdoor or they can be used indoor as well?